Thank goodness for Sequence Paris and Emma! As an American expat living in Paris, it can be difficult finding a skilled, English-speaking stylist. Emma has been a life saver! She listens well, provides great results, uses high quality products, and the salon is conveniently located in the 5th arrondissement. I would definitely recommend Emma to anyone looking for a top notch stylist in the city. 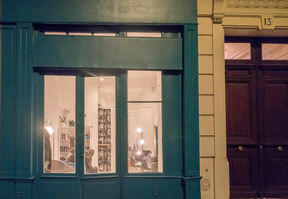 It was so great to find Emma, an English-speaking stylist in Paris! For years, I have endured what are almost 'buzz cuts' because I couldn't express to other stylists exactly what I wanted for my pixie hairstyle. Emma gives lots of loving texture to my short hair and I love it! Emma is an excellent stylist offering a high quality professional service with a friendly welcoming smile. Discovering Emma was the best thing that has ever happened to my hair! Before meeting Emma, my hair lacked lustre, it was always so dry and it never ever grew, which was a huge frustration. After just one hair appointment with Emma, I could already notice a difference in the condition in my hair and it finally started to grow! Now, after 16 months of regular appointments with her, my hair is the longest it has ever been and is in the best condition it has ever been in. Emma is truly a hair magician! She totally transformed my hair, without having to chop it all off and start again (which was a huge relief). She always gives me such useful DIY hair tips, which also really help maintaining the condition of it, during the 6 weeks that I don't see her. Unlike other hairdressers, she listens to exactly what you want to have done to your hair and the answer 'no' is never an option. She always puts her clients needs first and figures out a way to do a crazy colour (for example), but whilst still making sure that the state of the hair keeps in tact and won't be ruined. Emma is the first hairdresser to have ever really worked real magic on my hair and transformed it from dull 'not-even-worth-mentioning' hair to movie star hair! She is an artist and a magician! “There is a big reason why I travel one hour to get to Emma’s salon - I have at long last found someone in who I have complete confidence and who has given me the best advice as to what suits me. A huge thank you!!" Emma is not only a talented hairdresser who listens to your needs but also makes your experience at her salon memorable,she's friendly makes you feel at home, and not only do you love your hair but you make a friend by going to her hair salon. I would definitely recommend her to anyone coming to Paris and I am happy I found a good hairdresser in Paris that can make me feel pretty. I've been getting so many compliments since going to see Emma - so of course I asked her to do the hair for my wedding! At the planning appointment, Emma helped turn my somewhat vague ideas into something that looked absolutely amazing. I'm so glad she was able to be a part of the day, and it turned out even better than I had anticipated. Thanks so much, Emma! 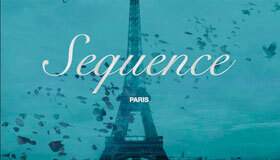 Please email me directly at contact@sequenceparis.com to arrange an appointment for the 5th. Is there availability for an appointment coming Wednesday (5th)? Please email me at contact@sequenceparis.com to arrange an appointment for the 14th. I do have space that morning for you. Emma, do you have availability Friday morning, September 14?